Before I came to the clinic I was exhausted all the time and was experiencing joint pain and extremely dry eyes. I had also recently had a very early miscarriage with a lot of hormonal symptoms afterward. I was experiencing extreme emotional ups and downs even before becoming pregnant. Now I have noticed improvement in my energy level. The joint pain and dry eyes are barely noticeable anymore. I am now seven weeks pregnant again and feeling surprisingly well despite normal early pregnancy symptoms. The overwhelming exhaustion I was feeling is infrequent now. My whole family just had the flu and I was the only one who didn’t get sick which is unusual for me during pregnancy – I usually get sick more easily. I always ate healthy yet I was constantly tired and exhausted. No amount of sleep seemed to help and I would get 4-6 colds a year and be sick a week to a month at a time. My back was always in pain and I just learned to live with it and other joint pain. Now I feel better than I thought was possible for me. I have had the sniffles one day since I started the program 9 months ago. My energy levels have been even better than when I was a teenager. I had low energy, a weight problem, and sore feet. Now my weight is down, I have more energy, and my skin is softer and less oily. I am eating better and my husband is now doing the program too! I was tired, I had sore muscles, and I was craving sweets. Now I am much more active and the pain of my fibromyalgia is so much better. I don’t crave sugar much at all and I have lost weight. I lived with a steady headache. I had very low energy and acne for the last 35 years. Now headaches are rare (only when I eat gluten). I am experiencing a lot more energy. My acne is almost completely gone and I’ve lost 11 pounds so far to boot! I am feeling better overall. I had headaches frequently, fatigue, a hunger for sweets, blemishes on my back, and an overall feeling of grogginess. Now I haven’t had any headaches, I have a lot more energy, my appetite has decreased, and I feel full of health. I wasn’t sleeping more than 4 or 5 hours a night. I didn’t have a lot of energy because I was tired a lot of the time. I had problems with some of my shoes because of a scar on the top of my foot. I wanted to lose some weight. Now I sleep at least 6-7 hours a night. I have a lot more energy. My foot doesn’t hurt and the scar has gotten less noticeable. Not to mention, I’ve lost six pounds! Before I came to the clinic I couldn’t get up in the morning very well and I didn’t have a lot of energy. I had frequent headaches and I was cranky at times. I could not relax in the evening enough to sleep right away even though I was tired. Now I’m feeling a lot better! I can get up better in the mornings and I don’t have as many headaches anymore. Not to mention, I can relax in the evening and go to sleep just about right away. Thanks Dr. Court! I had no ability to handle stress and no energy throughout the day – especially in the early evening. I had menopausal symptoms that were on and off all day long and into the evening. I also had brain fog that was especially bad in the morning. I was unable to sleep and stay asleep. Now I can handle much more stress with ease. My energy levels are very good throughout the day, even well into the evening. My menopausal symptoms have decreased and the brain fog is much better in the morning. My sleep pattern is slowly improving as I am able to sleep longer periods. My daughter had spikes and lows in her activity level, depression, and frequent outbursts. Now she sleeps the correct amount of hours a night, her negative thoughts have stopped, and her behavioral outbursts have subsided. She now has great behavior at school; I attribute her success to the diet recommendations Dr. Court has given us and we have followed his advice faithfully! Before I came to the clinic I was tired all the time with symptoms of irritable bowel syndrome. Now I have improved energy and no more digestion problems. I had headaches, shoulder problems, low energy, and an upset stomach in the evening. Now I’m feeling a lot better and I have more energy. I have hardly any headaches and my shoulders and stomach problems are better after being on the program only 3 months! I was craving sweets, had lots of bloating after eating, and I felt really tired after meals. After seeing Dr. Court a number of times these things have improved quite a bit. The right nutrition is good for your body so why not get it checked out and see what you need! I started to see Dr. Court because I was feeling very sick just about every day and this wore my energy down quite a lot. I also had a thyroid problem and my doctor recommended I try the Nutrition Response Testing program. I started taking the organic whole food supplements that tested for me and now I’ve only had a few days of digestive problems. I feel like I could run up a hill whether there’s 8 inches of snow or not – not exaggerating! Before this I barely felt good enough to walk. I totally recommend this doctoring and live by the doctor’s recommendations religiously. My theory is whether you have a good vitamin or mineral or not, how do you know that your body is ready to handle it without testing? I have done quite a bit of other natural doctoring but have not received even close to the help I have received on this plan. Every individual is different as far as the healing process; I can tell that with the experience here at our own house. 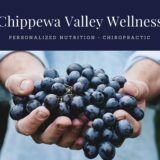 THANK YOU VERY MUCH TO THE CHIPPEWA FALLS CHIROPRACTIC STAFF!! Before coming to the clinic I had bad acne and felt tired. There was also irregularity with my digestion and monthly cycles. Now my skin has improved, my energy levels are much higher, and I am more regular with digestion and monthly cycles. I’m very happy with my improvements. I was tired all the time with symptoms of irritable bowel syndrome. Now I have more energy and no more digestion problems. I had sore joints, stomach pains, and low energy. Now, everything is better and improving. Before I came to see Dr. Court I had headaches, shoulder problems, low energy, and an upset stomach in the evening. Now I am feeling a lot better and I have more energy. I don’t have hardly any headaches and my shoulder and stomach problems are better. I was craving sweets, had a lot of bloating after eating, and felt really tired after meals. After seeing Dr. Court those things have improved quite a bit. The right nutrition is really good for your body so why not get it checked out and see what you need? I’ve lost weight and I have no digestion problems. I have more energy, no colds, my immune system is better, and my blood pressure is down. Since going to my NRT doctor, I have lost weight, and reached my goal! I have much more energy, less headaches, etc. Another big point is antibiotic use. I have not needed an antibiotic for months, and that is wonderful. My children are a big element in my life, and my NRT doctor has given us our lives back. No more hospital admissions, sleepless nights, etc. My eldest child even asks for his supplements. I have been seeing my NRT doctor for 2 years, and have noticed an improvement in my joint pain, intestinal disorder, cholesterol, weight loss, and blood pressure. Before I came to my NRT doctor, I was using a lot of anti-inflammatory drugs, but since I have been using his protocol I have not needed to use any of those drugs. I have more energy than I have had in years. I have much more energy, weight loss, more confidence, and feel better overall. I am anxious for the bimonthly appointments and I do not mind knowing what else can be found wrong with me, because I know my NRT doctor will take it care of. Prior to seeing my NRT doctor, I had chronic fatigue. Now I have more energy. I have lost 20 pounds, and I do not have to take as many pain medications. Upon first being seen at my NRT doctor’s office, I was tired; I ached all over, and carried extra pounds. After two months, my energy has increased, I am losing weight and my overall outlook on myself has improved, and my stamina is much better than it was in the beginning. Since seeing my NRT doctor, I am beginning to look at food in a different light. Rather than as a solution to problems, I see it as a means to becoming healthy as I get older/ I am learning slowly to make wiser food choices and in doing so learning to hear and feel how my body reacts to what I ingest. I also like the one-on-one approach with someone whom I feel cares… I do not feel fatigued or generally depressed anymore. When I first came here I was very tired, my stomach used to bloat out so far I looked like I was about 5 or 6 month pregnant. I was just very unhappy with how I looked and felt. Now, although I only lost 8lbs, all my pants have gotten very baggy on me and I am nowback in my skinny clothes. My stomach isn’t bloated anymore, even my fingers don’t swell as much. I have more energy and my stress level has gone down a lot. I realize I have more to go but I know at this rate I will have no problem getting there thanks to the people at the Nutritional Healing Center and their knowledge of the body, finding what’s wrong and knowing what it will take to fix it.